Autumn means apple cider, pumpkin spice and breathtaking fall foliage for most Maine families – but not for family and friends of Cassidy Charette, the 17-year-old Messalonskee High School student who was fatally injured in a 2014 hayride accident. According to a news report at the time, she had gone on “a haunted hayride called ‘The Gauntlet’ in Mechanic Falls on Saturday when the Jeep pulling a trailer filled with passengers lost control, hit a tree and overturned, sending 22 people to the hospital” with ankle injuries, abrasions and broken bones. A year after her death, the friends and family of four-time honor student, soccer player and mentor Cassidy Charette united to keep her spirit alive. One of Cassidy’s famous sayings was “Life is short; eat dessert first,” so several events were planned in her memory. The community set to work building Cassidy’s Kitchen at Hart-to-Hart Farm in Albion over Columbus Day weekend. They also gathered at Dairy Queen on Kennedy Memorial Drive in Waterville from 5 to 7:30 that Sunday, with 15 percent of sales donated to the Cassidy Jean Charette Scholarship Fund at Messalonskee High School. What sounds like a freak accident at face value may be determined the result of negligence after a thorough investigation is conducted. 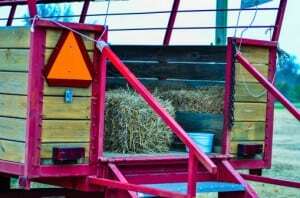 Authorities concluded that a “mechanical problem” caused the hayride accident. A review of the vehicle found that the driver’s side rear brake line had been recently installed, but the fluid reservoir was empty and several brake parts were missing or improperly installed. This past summer, hayride driver David Brown and farm mechanic Phillip Theberge pleaded “not guilty” to reckless conduct charges, which come with a maximum penalty of 364 days in jail. Charges have not been brought against the farm owner because “the investigation showed there was a substantial chance it would not lead to a conviction.” Harvest Hill Farm faces fines of up to $170,000 for charges of manslaughter, aggravated assault, driving to endanger and reckless conduct. No trial dates have been set. The owner of the land on which Harvest Hill Farm operates filed for bankruptcy following the hayride tragedy in anticipation of facing personal injury lawsuits seeking substantial damages. Questions about filing a Maine accident lawsuit? Has your family been affected by a tragic incident at a carnival, amusement park or other premises where the property owner or employees may have acted negligently? Attorneys at Hardy, Wolf & Downing can provide a free assessment of your case and conduct a full investigation to establish liability against any negligent parties involved. Call 1-800-INJURED to speak with a qualified premises liability lawyer right away.